Even as he grieves over the unfathomable loss of his daughter, Imogen, Theseus Roche is hoping to bring comfort to the many friends she leaves behind. 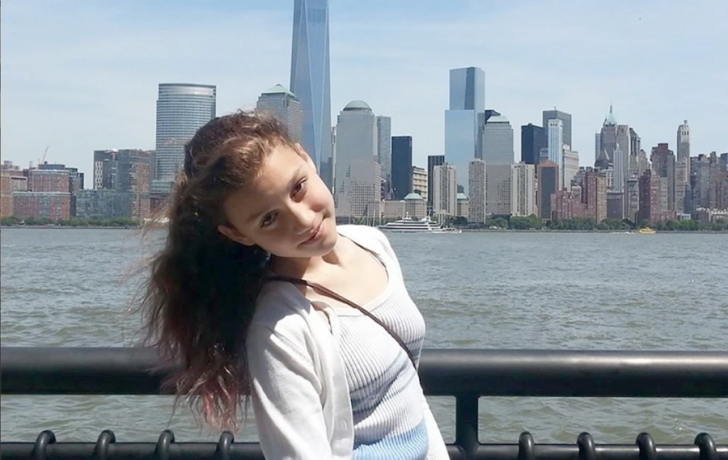 The talented 15-year-old, who died after falling from the top floor of 110 Reade St. during a house party Sunday night, would have been starting her sophomore year Wednesday at Beacon High School. Instead, her father, who runs after-school programs in 24 schools for Tribeca-based Manhattan Youth, is thinking of the many others she has touched. He has offered to talk to teachers and students at his daughter’s school, wherever he is needed. “What I am is Imogen’s father, and if she’s part of a lot of other people, then I’m their father, too,” Roche said. News stories have called Imogen “an aspiring actress,” a label that Roche, who has worked as an actor himself, dismisses. Though involved as an actor, writer and director in Manhattan Youth’s Filmmaking Workshop (the film she wrote, directed and starred in, “When Words Fail,” won Best Drama at the SONYC Film Festival), Roche said his daughter did not aspire to a career in entertainment. According to police, shortly after 9 p.m. Sunday night Imogen had attempted to retrieve the phone of another party-goer who had left it in a locked bedroom. She fell, police said, after climbing out a window onto a sixth-floor ledge while trying to get into the room through another window. She died about an hour later at Bellevue Hospital. No charges are being filed in the death, a police spokesman said.